Less than 20 percent of nurses’ time is spent on direct patient care. Help them get back to the bedside. Free nurses from the burden of non-clinical tasks so they can focus on caring for their patients. 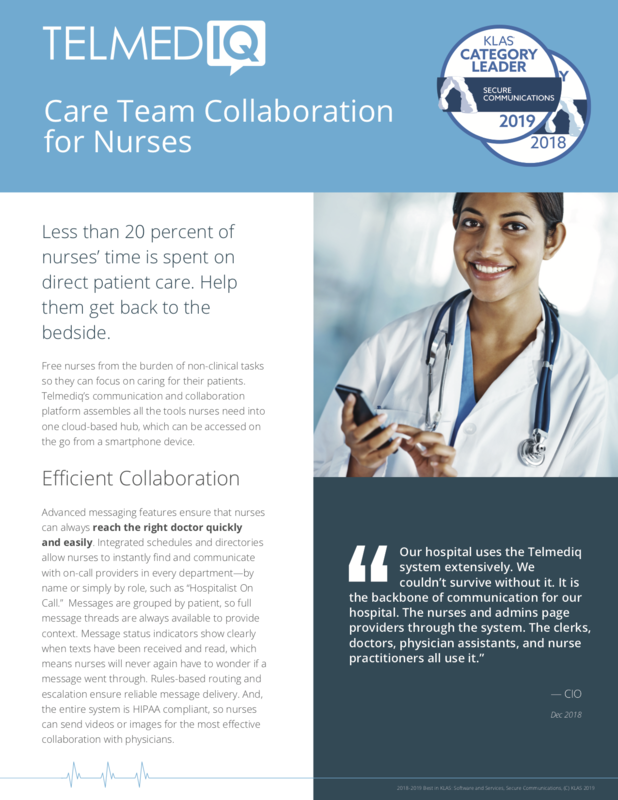 Telmediq’s communication and collaboration platform assembles all the tools nurses need into one cloud-based hub, which can be accessed on the go from a smartphone device. 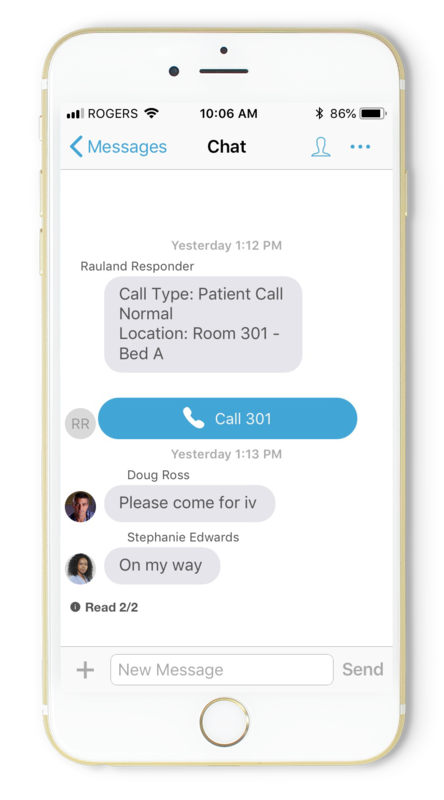 Advanced messaging features ensure that nurses can always reach the right doctor quickly and easily. 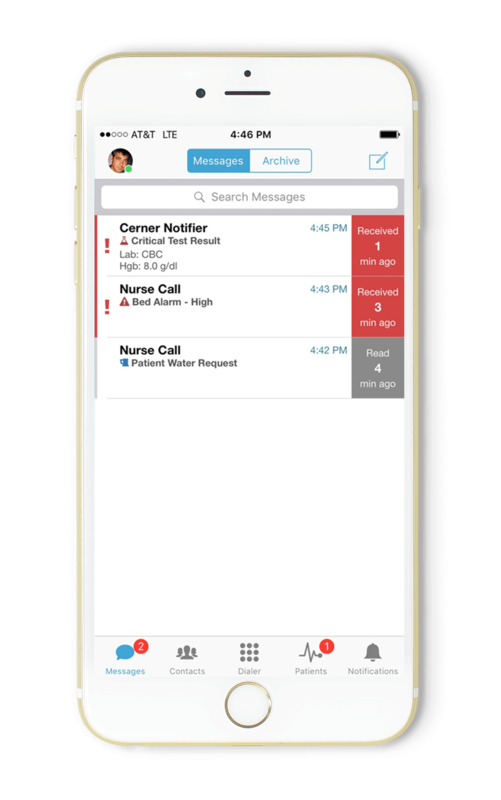 Integrated schedules and directories allow nurses to instantly find and communicate with on-call providers in every department—by name or simply by role, such as “Hospitalist On Call.” Messages are grouped by patient, so full message threads are always available to provide context. Message status indicators show clearly when texts have been received and read, which means nurses will never again have to wonder if a message went through. Rules-based routing and escalations ensure reliable message delivery. And, the entire system is HIPAA compliant, so nurses can send videos or images for the most effective collaboration with physicians. 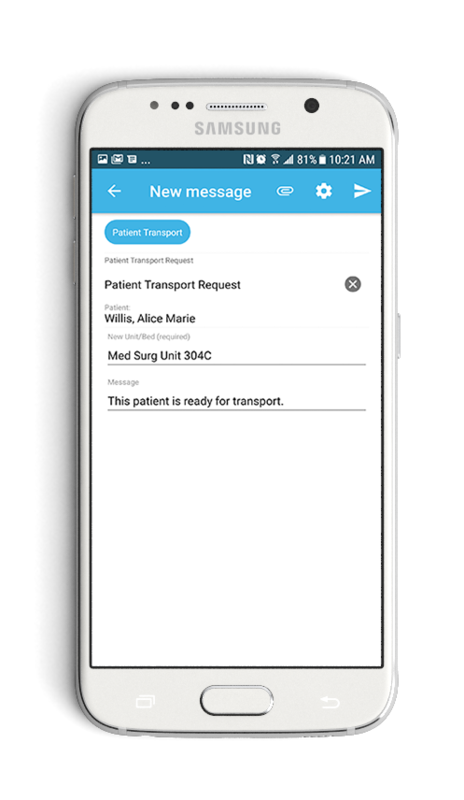 Telmediq’s communication features are organized around the patient, giving nurses intuitive access to their patient list for rounding and each patient’s name, DOB, location and care team members. Nurses can text care team members individually or the entire care team at once with patient status changes, to request a consult or to coordinate a discharge. Message templates like SBAR or to record vitals supports documentation. 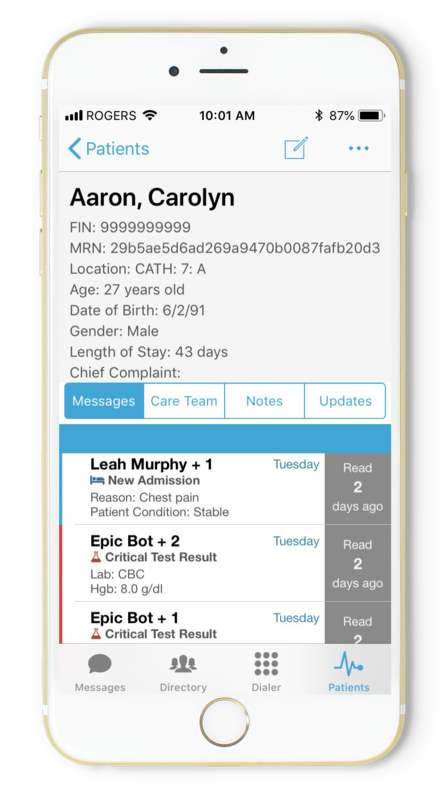 EMR integration provides immediate notification of orders, sepsis alerts or critical abnormals. Telmediq’s patient engagement solution provides patients wellness coaching, procedure instructions, appointment reminders and the option to request a personal conversation with a nurse to answer questions post discharge. 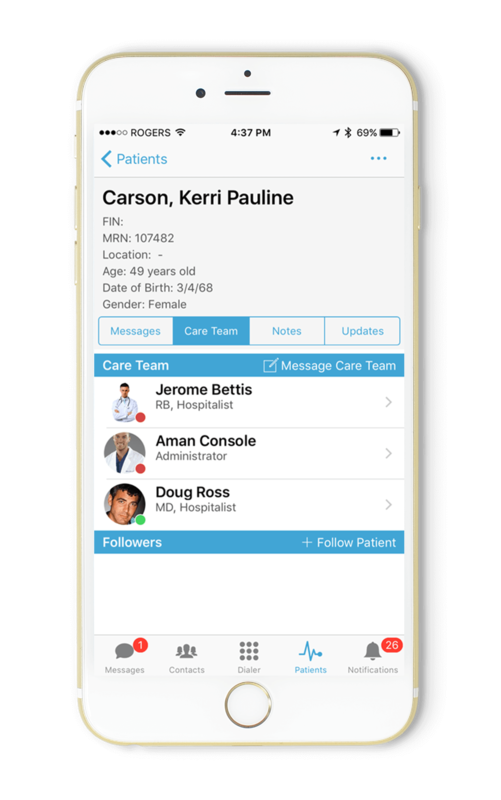 Improve patient safety and reduce stressful ambient noise by routing nurse-call alerts and patient alarms to mobile devices. Dispatch bed alarms to nearby nurses and prevent life-threatening falls. Automatically route non- clinical calls to support staff since nearly half of room calls do not require specialized nursing care. Escalate critical alarms so back-up is always there when it’s needed. NFC technology also streamlines non-clinical task delegation. Nurses can restock supplies, initiate patient transports, request housekeeping staff and more by simply placing their smartphones against RFID tags. Automated workflows are initiated without lookup or typing. Telmediq bundles both the software and the hardware into one mobility strategy. Nurses need ruggedized smartphone devices that can be thoroughly sanitized, that are easy to carry on duty, and that guarantee reliable connectivity. Our team will recommend the most appropriate smartphone devices to meet your organization’s mobility goals. 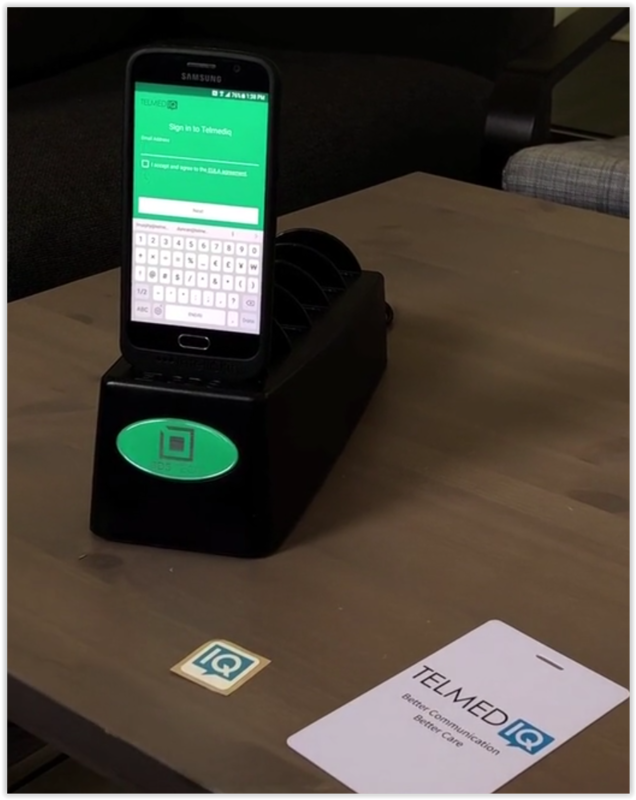 Telmediq also offers proprietary Near Field Communication (NFC) technology that enables nurses to “badge in” to shared devices without having to enter credentials. Across North America, Telmediq has helped thousands of clinicians transition to integrated mobile communication. The Telmediq team will guide your organization beyond clinical communication to address the workflow challenges that are slowing your nurses down. We’ll bring you the best practices and optimized workflows that have proven to increase patient throughput and reduce care delays.